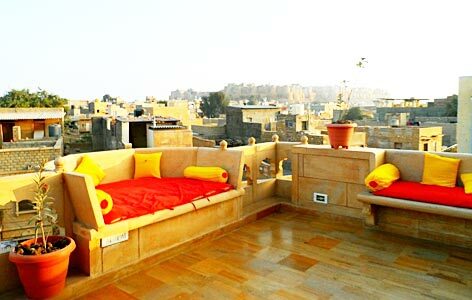 "Pleasant Haveli offers a truly pleasant stay in Jaisalmer like the name suggests. Standing tall right in at the heart of "Golden City", the hotel offers a comfy stay. With the constant care and detailed attention given by the hotel owners to each and every guest, one feels like a pampered child at home with a stay in here. The heritage style hotel in Rajasthan, Pleasant Haveli is reflective and reminiscent of traditional Rajasthan in every possible way. The building has been constructed using the local yellow sandstone and the architecture is inspired from age-old havelis. All the 9 rooms in the hotel are different and unique from each other. 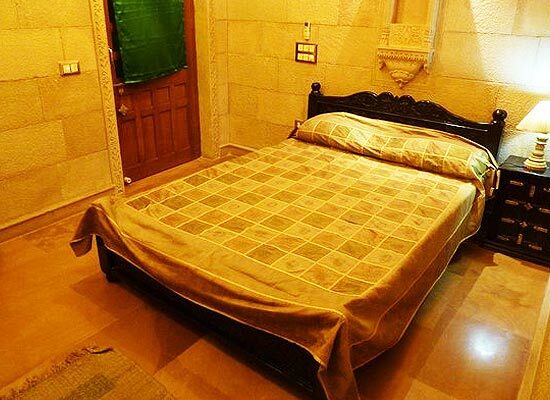 All the rooms are centrally air-conditioned, luxurious designed and are painted in unique color patterns. The aura in these rooms is purely romantic and ideal for a cozy warm stay. All the rooms are flourished with modern day conveniences so that guests could make the best in the private of their rooms. There is a large dining hall in the hotel which serves amazing Indian and Continental delicacies for the guests. The hotel chefs can also cook and prepare special meals for guests as per their requests and whims. Quick bites and beverages are also available here. 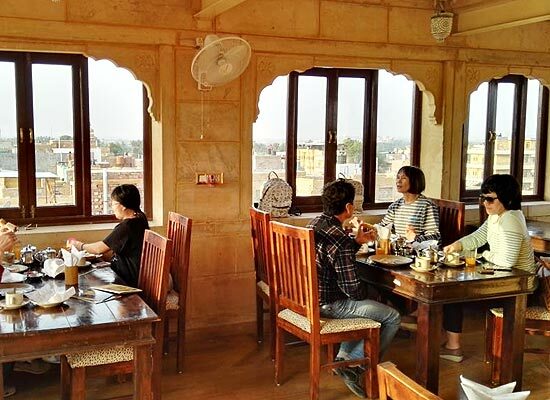 Jaisalmer city in Rajasthan, popularly referred as “Golden City” of India, is an enchanting, captivating and magical destination to spend holidays. Wrapped around the history, the glory and the splendor, a trip to Jaisalmer sets a perfect cultural and heritage tour to Rajasthan. 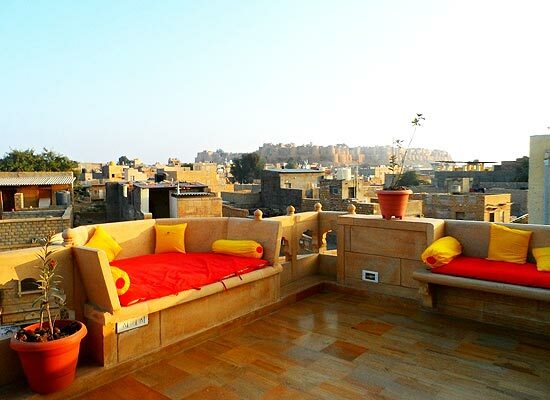 The magnificent Jaisalmer Fort is a major attraction here.